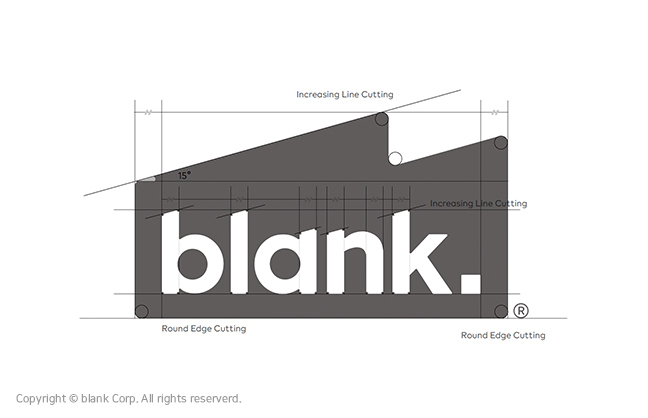 The corporate identity refers to the concept and message that Blank want to deliver. The creation of this 'think factory' helps to add values in our daily life, based on innovative ideas in this fast changing digital world. Solve problems with the use of creative, flexible and logical ideas from different perspectives. that represents the image of Blank. No alterations should be done on the logo. CI download * Unauthorized copying and distribution are strictly prohibited. The text and shape of Blank logo are centered. character and number gylph configuration. 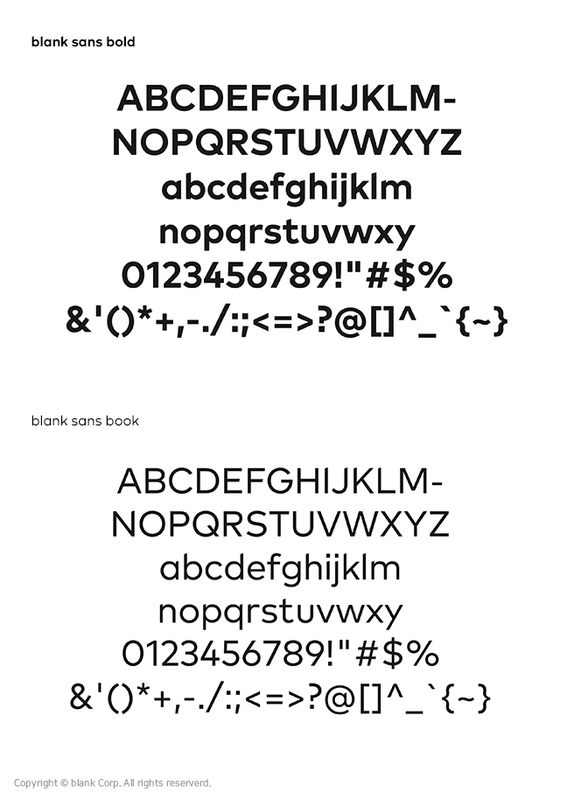 blank sans is composed of bold, book 2.
is designed with the blank sans. font download * Unauthorized copying and distribution are strictly prohibited.